Description In this game there are four foundation piles at the center of the play area and 8 tableau piles surrounding the foundation piles. At the start of the game the aces are dealt to the foundation piles and 6 cards are dealt to each of the tableau piles. The object of the game is to move all the cards to the foundation piles. The foundation piles are built up in suit, while the tableau piles are built down regardless of suit. Each time you can only move one card from the top of a tableau pile. Controls With mouse move all the cards to the foundation piles. 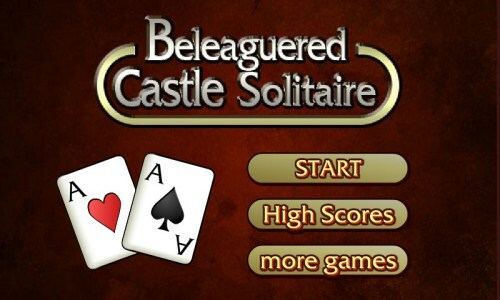 Pretty nice visuals in this solitaire #game.